This restaurant Squash Recipe is very good served with Blackened Fish. One complements the other. 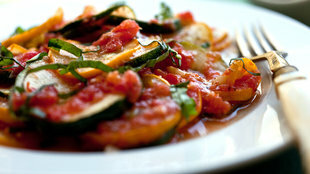 If you like garlic, add 1 tablespoon of minced garlic when adding the squash. This recipe is another tasty, favorite restaurant recipe. It has been "tested" (tasted) and approved by restaurant customers for over thirty years. ENJOY your squash and the company of those you share it with! 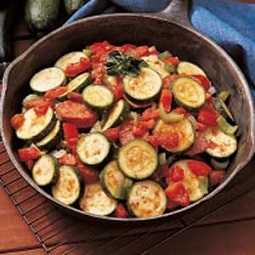 "Last night we had three small zucchini for dinner that were grown within fifty feet of our back door. I estimate they cost somewhere in the neighborhood of $371.49 each."